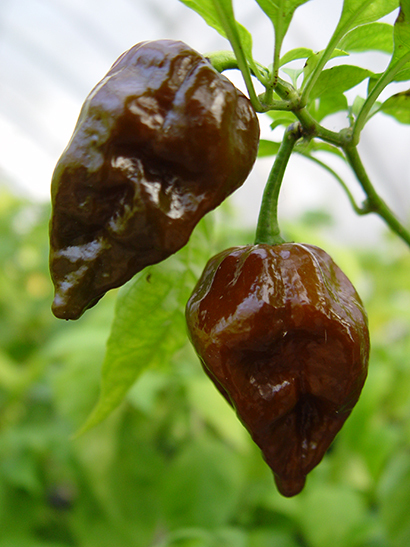 We offer Trinidad Scorpion Butch T for sale as Pepper Plants, Pepper Seeds and Fresh Peppers. Trinidad Scorpion Butch T is another very popular variety of super hot peppers, coming in at 1.463 Million Scoville Units. 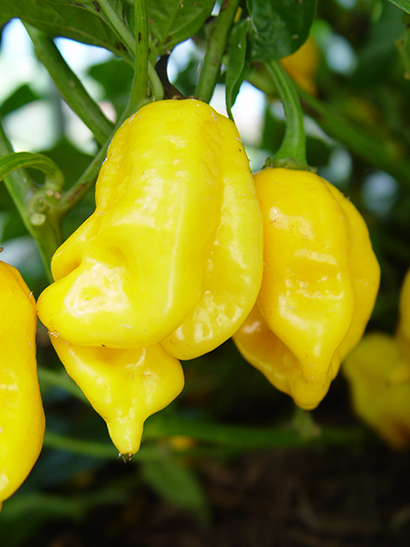 It became the Guiness World Record Holder for the hottest pepper in 2011. 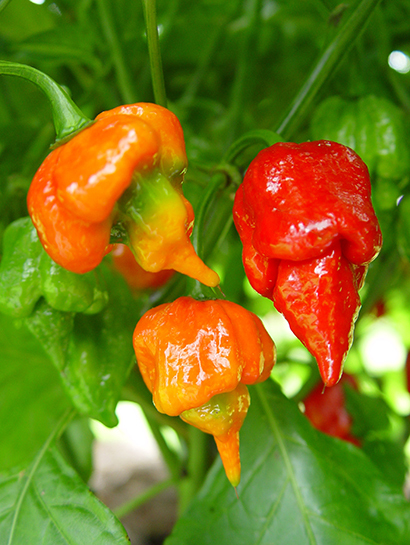 Since then, other super hot peppers have been found and/or developed, including the Moruga Scorpion which dethroned it in 2012, and Smokin' Ed's Carolina Reaper® in 2013. Regardless of title, the Trinidad Scorpion Butch T has remained a very popular favorite. It also now comes in different colors. Please have common sense when using super hot peppers, especially around children and others who are not familar with or suited for their extreme spiciness. Dairy products like milk, yogurt or ice cream, and starches like banana, bread or crackers, will help calm the burn.